Introducing a wonderful selection of wooded, hillside home sites. Ranging in size from an expansive 1/4-acre to 2/3-acre, they are nestled in mature stands of pine, fire, birch, and western tamarack. You can design and build your own private hideaway or choose from plans developed exclusively for Mountain Watch. Thoughtful and sensible design guidelines assure the lasting quality and character of this naturally beautiful neighborhood. Full services including water, sewer, electric, cable and natural gas are installed to every homesite. 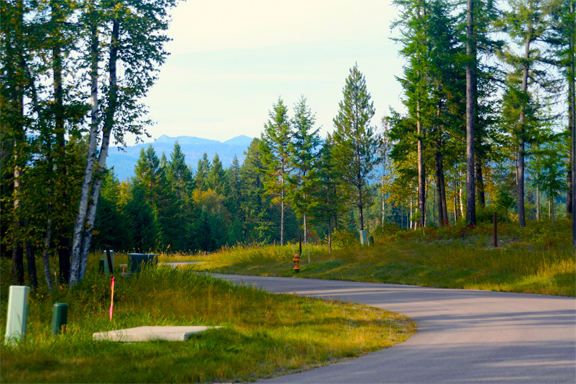 Mountain Watch offers the last available home sites in the desirable Meadow Lake Golf Resort and Recreational Community. The Woods at Mountain Watch is owned and operated by Thirty-Three Properties, a Montana-based real estate partnership whose members are personally dedicated to making the exceptional vision for Mountain Watch become the reality it deserves to be. Underground utilities are in place. I invite you to contact me for all the exciting details and to schedule your personal tour. Call today for prices and availability.